Signature Events were introduced this year, and I want to look at their impact to explain why I believe they’re an awesome replaced the World Skills Ranking, and what could be done to improve them even more. 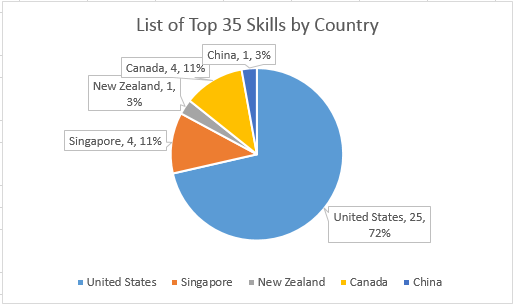 The basic idea of the World Skills Ranking was that teams with exception skills scores, even if the RECF has decided to give their region 2 spots, can still qualify to Worlds. Similarly, Signature Events allow teams to go to different areas and take those qualification spots back to their own region. And while Signature Events still suffer from imperfect refs, bo1, and all the other wonderful features of every other competition, they create an opportunity to meet teams from all over the country (or world) and collaborate. I don’t think it’s fair to say they bring the Worlds experience to local teams, but they get impressively close, especially for 1-2 day events. And something I think gets overlooked is that Signature Events create memorable matches before worlds. The same way a lot of us watch the RR at worlds in awe of just how good the teams are, I’ve found myself looking back at Signature Event streams and watching the insanity of the top teams. But unlike the RR, we then have the opportunity to go home, practice, tweak, and integrate the concepts we saw at the Signature Events into our own robot. It’s just really cool to be a part of. The biggest critique I’ve heard of Signature Events is that they’re a “pay to win” setup. To throw my friends on 7700S under the bus (sorry guys), they had the means to fly to Columbia to compete at and win a Signature Event there. Doesn’t that prove that Signature Events just benefit rich teams? Not at all. 7700S was dominant at California states and ended up as a State Finalist, double qualifying them. And the team that qualified because of 7700S’s double qualification was 8301E, a really strong team from an underprivileged Title 1 school who’s alliance partner white screened in state elims. There were a total of 10 double qualifications from California, and 8301E had the 10th highest skills score in California among unqualified teams, so 7700S’s double qualification allowed 8301E to qualify to Worlds. If they hadn’t flown out to Columbia, they would still be going to Worlds, but 8301E would not. Let’s look more broadly at the teams that have won Signature Events within the US. The huge majority have come from highly competitive regions such as California, Indiana, and Pennsylvania, resulting in extra double quals in those regions. And of the 7 teams from CA who qualified at Signature Events, 3 of them double qualified at their state event, and 2 triple qualified. Notably, the first seed at Google, 6627X and 6842Z was bo1ed in quarterfinals by a combo of terrible luck and amazing driving by 21S Both ended up at state champs. 6842Z also won skills at Google, 6627X won skills at states and excellence at Google, and 21S qualified as well as a state finalist after beating ex world champ 86868R. All this is to say, the teams that succeed at signature events by and large succeed at states too, so the spots largely just go back to skills. But unlike before, the process by which these spots are allocated involves some of the best matches in the world and a lot of cross-state and international collaboration. It’s really a win win. So where do Signature Events fall short? At least as far as I’ve seen, it’s only internationally. China and Singapore have both put up utterly dominant performances at Worlds year after year, often winning over 70% of their collective matches at worlds and way over representing themselves in world eliminations and in the dome. Last season, both middle school world champions, one of the high school world champions, and the vex u world champion were all from China. Why, then, is there just one Signature Event in the entire continent of Asia? The lack of Signature Events for Chinese and Singaporean teams keeps deserving teams from these regions out of Worlds in favor of weaker American and Canadian teams. I love having 40 spots in California, but when my state gets more spots than the entire continent of Asia, something is wrong. And the solution if the RECF isn’t going to fix their allocation of Worlds spots needs to be more Signature Events in China and Singapore. But overall, Signature Events have really made Vex better, at least from the perspective of an American team. I’ve competed at a total of 35 tournaments across the last 5 seasons (and I still have 2 big ones left! ), and my experience at my only signature events is very close to the top of the list. While bo1 and v5 worry me, Signature Events are an exciting new direction for VRC. That is very well said, @Anomaly. Introduction of Signature Events in this format is definitely a very positive change that RECF made this year. Just like @Anomaly had pointed out, they provide a natural way to reward regions that have higher percentage of the strong teams with additional Worlds qualification spots, without the need for RECF to make top-down decisions. Which is great! They also create a virtual “Premier League” for the teams that consider themselves part of it, and let them experience and practice Worlds class gameplay earlier in the season. Finally, Signature Events give another pathway for the teams that are anxious to make it to the Worlds in the time of BO1 and are willing to go extra mile (literally) and have resources to back it up. This also relieves significant amount of pressure from the State and Regional Championships (again under BO1 format) and makes it less stressful. 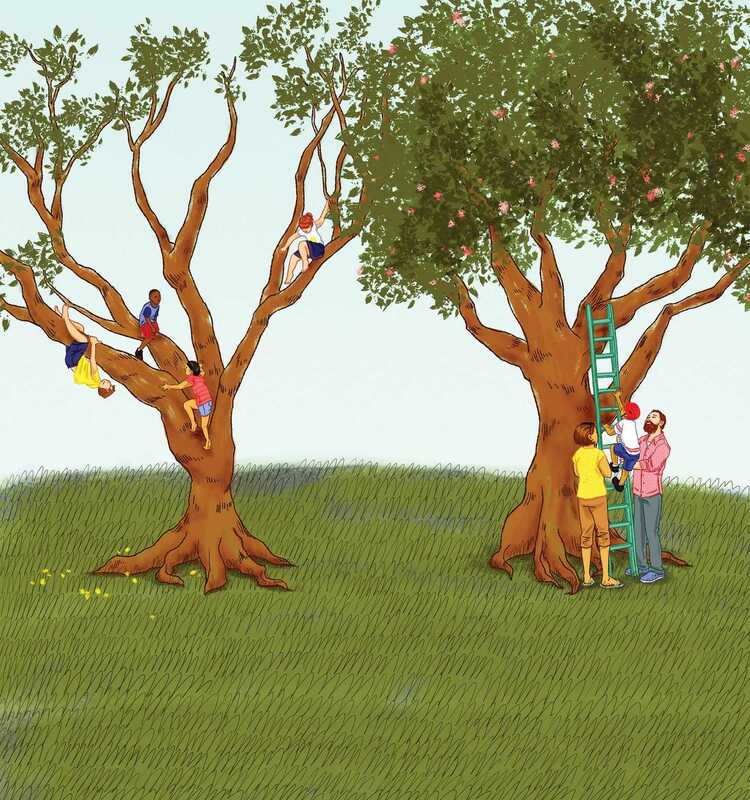 It compares parenting styles in different countries and you can see a lot of parallels in how the dynamics described in the article plays out in the VRC, since it is, obviously, an educational program and all relevant implications are applicable here as well. If RECF is considering additional changes to the competition format, I would highly recommend @DanMantz to take a look at the article linked above and the book that it was based on. I don’t totally agree with this. We could never afford to go to one of these signature events. We can barely afford to go to worlds. Skills was something that was available for everyone, these events are only for teams that have money to get there . It’s not quite the same thing. Now we have never had any skills scores even close to high enough to qualify for worlds anyway, so maybe it’s irrelevant. Maybe the same teams that have awesome skills scores are the teams that are winning these signature events. I just don’t like eliminating a cheap pathway to worlds. I don’t agree that Signature events is a good replacement for skills challenge. Of course you might say that I have vested interest in it, but all the evidence by @Anomaly is just anecdotal. (But I do want to give him credit for balancing his post with the shortfalls of signature events). The data that we really need is the percentage of real international teams in the various signature events. The 25% quota can be easily filled up by neigbouring regions, eg. China going over to HK or Macau, Texas or Cali teams going over to Mexico, etc. But do all these truly represent giving the participants a “worlds” feeling or the opportunities to mix around with international participants? I do have my doubts (but I admit, I have no data to look at). And no matter how you look at it, there are extra cost for flying over to signature events and getting the hotels, etc. I think apart from America continents and Europe, there is not much chance that we can try to save cost by doing a road trip over at Asia. If anyone is to look at all the positives that has been mentioned for signature events, you will realise that it is mainly applicable in the US context, there is no regards for international teams. But from the marketing and business strategic point of view, I would say that RECF has done nothing wrong if they want to focus on the America continents (it is a mega market). So it is up to the international teams to decide if they still want to put themselves at the mercy of RECF’s directions. And if we are going by anecdotal examples, then just let me say that the multiple MS world champion from Singapore (i.e. 8066) is not going to worlds this year. They might appear again next season, but I wouldn’t know. The last that i heard was because of finances (they went for APAC), so I am not sure if this made a difference to their financial status). And going by the official event that we had in Feb, the number of registered teams have dropped to just 32. Nobody is being fooled to think that they will have a good chance of beating 8059 and 8066 to the worlds spots… and since there is no more qualifications by global skills ranking anymore, there is really no point turning up for the event. Think with the extra amount of money pouring into the signature events, I am pretty sure we can afford to manage a server for skills challenge EPs to upload the video evidence for the top 50 skills runs. And in summary, no - I dont think RECF will make any changes to their new direction. @brodywb my subjective impression is that there is a very high correlation between teams with top skill scores and those attending Signature Events. It would be great if students who are good with vexdb.io scripting could analyze the data and tell us actual numbers. I don’t have specific examples, but RECF said in the past that abolition of the top skill qualifications was partially done to combat alleged pay-to-win behavior. Even before Signature Events you could see the correlation between amount of the investments that teams could make into their equipment, curriculum, travel, etc… and the average performance on the field and chances to qualify, as a results. There is a small percentage of kids that have so much passion for robotics and talent for engineering that they could overcome even the longest odds, but for the rest of us something as simple as having or not having access to the full field 24x7 makes a lot of difference. I think that distribution of talent is pretty even between the kids going to the affluent or disadvantaged schools. Given equal opportunity they will do equally well. However, on the example of our local area teams, I can easily see a pattern in results between a private school that could afford a dedicated robotics instructor, expensive equipment and curriculum, and a large public school from less than affluent neighborhood, where only senior teams get to use aluminum in their designs. I think, VEX has a unique opportunity to democratize the system by tweaking the reward criteria and, also, by giving all teams equal access to the more game relevant curriculum. In fact, it could cost VEX Robotics and RECF next to nothing. Just enable VexForum Wiki and a lot of mentors like @biglesliep will create quality content available and easily accessible to all students - I will certainly do. @meng, you, obviously, know much better than me the implications of the recent changes on the teams outside of US. From my point of view, I saw only positive impact from the signature events where I am. Few of our best local teams went there, got beaten by the best teams from other states, and came back with double the energy to improve their game. The previous years they would get easy wins locally all season long and have limited incentive to improve. Now it is almost like having two seasons in the time of one. I think the easy answer here, to keep it short, is that for large regions that may have many, many teams going out of state for signature events, having signature events instead of global skills ranking actually lowers the barrier of entry to worlds, as state skills rankings will likely be far less competitive (among unqualified teams) than the global ranking, meaning there is actually quite a large possibility to qualify if one invests time into skills, but it no longer requires the same level of commitment that top 35 skills required in past seasons. Additionally, we’ve seen this in California this year, with state skills ranking being quite a reliable qualification method for many teams. However, this taking of the worlds ranking is horrible for smaller regions, which may not have nearly as much signature event attendance, and therefore much, much less double qualifications. Additionally, global skills challenge is really objectively better than signature events for these regions due to the (earlier mentioned in thread) cost of signature events. Overall, I agree that international presence at signature events is a helpful metric, but at the same time we need to wait for tournaments to become known and fill properly with different teams’ long planned attendance. For example, google this year was very, very competitive and filled almost instantly, yet it took a good amount of effort to gain out-of-state teams due to the planning required for travel. In general, I think tournaments like the ones in South America this season will be much more prevalent next year, as people will have seen them for the first time this season, and may plan to go to them next season as a result. I think U.S. Open is a good model for how I expect signature events to become–international teams don’t go there for worlds quals, so although signature events are more abundant, I feel one of those events can definitely serve as a team’s travel for the year. Signature events are really cool in concept. They are sort of like pre-states for a lot of regions, often being the most difficult competition of the year other than worlds. However, the price problem does lead to problems like this year. Teams that can afford travel and high quality robots are able to qualify for worlds. This does make it unfair for teams that are lacking in money. However, this does ensure that high quality matches and robots play and succeed at Signature Events. Seeding almost doesn’t matter, anyone good enough to make elims and have good strategy could win. Good teams win Signatures and this means good robots go to worlds. But this causes other problems as well, as seen in California States and Skills. Even though I feel California States had a lot of other issues this year, I won’t get into those now, only related to Signature Events and Skills. So many signature events were won by California teams, so these teams already qualified for worlds. But many of these teams also decided to compete at states for fun and practice or something like that. But this caused a lot of problems for double qualifications. These really good robots that are already worlds qualified and are taking out other robots who have potential to win states otherwise. This imbalance makes these other good teams that tried in competitions not actually reach worlds if they did not focus on skills. California had like 13 double qualifications, which is insane. And the different dates of the California States had teams counting these double qualifications to see what scores they need to qualify for worlds, which is somewhat unfair for teams that competed before. So teams could do mediocre in their actual states tournament, but very fine tune their skills programs to get necessary scores. In my opinion, skills is very different from the game this year not in terms of scoring, but because of the lack of defense. Overall, Signature events, great. But they should work out some better system that does not lead to so many double qualifications. Maybe makes these signature event winner not attend states or something. …Oh hey, an argument where I actually get to bring up the charts I made for Skills scores last year! I’ll only base my argument with data from the High School division, but I’ll bring up SingVex in a moment. Wait, 574C double-qualified for Worlds in January? That’s just some serious memery right there, because that would mean that they at least quadruple-qualified for Worlds. Double-qualification through Champions/Excellence actually happened more than once. That again stresses the necessity of skills. …Okay, in the United States, out of the 15 unique teams that qualified for Worlds via signature event, 15 slots for Worlds were taken up at the respective State competitions, causing only 3 American teams to qualify solely off of a Signature Event. I mean, technically out of the teams that qualified, only 68% were US, which is a decrease off of last season, but now, literally 68% of the teams that received a Worlds invite from the Signature Events didn’t need them. Also, right off the bat, I didn’t expect six double-qualifications from my region, California, right off the bat. However, if what @Anomoly stated is true about 10 extra California robots qualified due to double-qualificaitons, that might be a bit aggressive. I have not been to a Signature Event. However, from what I have read, the general consensus is that the Signature Events act as a miniature Worlds, and have the atmosphere. If that is true, then I am all for that. I understand teams that wouldn’t typically be able to go to Kentucky might be thrilled with the idea that there will be a large mass of people, even potentially from different regions, who share the same passion. If we are to keep the system, I think that there has to be a maximum number of double-qualifications a region could have. 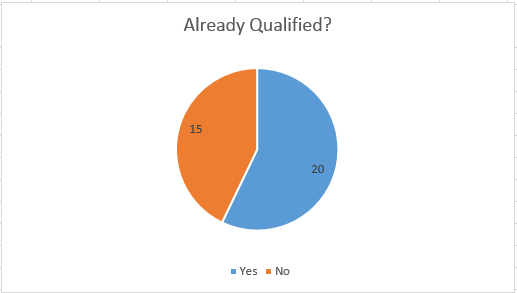 At that point, if more double-qualifications happen throughout the region, it should be given to the highest unqualified Skills outside of the region. I’m not convinced that either Signature Events or World Skills Ranking are going to stop an extreme “pay-to-win” mentality, but I think in general, Signature Events are a good thing, and should be implemented in a couple more locations. The thing with signature events for international areas is that travel is even more expensive for them. A lot of schools and places internationally typically would only compete at Worlds for an overnight out of country trip. Signature Events are cost prohibitive among other things for a lot of international teams. Fascinating article. Lots to think about. However, that is one beauty of robotics. Physics is physics, engineering is engineering. Setting aside whether a team travels to Columbia to qualify for Worlds - a team in a poor area with gears, sprockets, chain, wheels, etc, will be able to get the same hands-on and tactile experience than a kid in a rich area gets. On this forum, at least, there is so much hand wringing about which robots are the best and “if I can’t get to Worlds, I just may quit the program” that the bigger picture is lost. There are thousands of kids involved in the program - maybe hundreds of thousands. Most will never go to Worlds - some couldn’t go even if they qualified because they simply couldn’t afford the travel. Some kids will never even qualify for their state championship. Many couldn’t give a darn over BO1, BO3 or BO100 - but they will ALL learn about fundamental physics and engineering principles - no matter rich or poor, worlds or not - with a relatively small investment in robotics parts and that’s what’s really important. Travel is nice but not necessary, going to worlds is nice but not necessary. Back to the subject of Signature Events. I like them for many of the reasons stated - they are a great opportunity to meet teams from different states and play against teams from different areas where strategies may have evolved differently. I can’t even start to address the international issue, so my points are admittedly US-centric where there is a large concentration of teams giving them an opportunity to travel relatively small distances to compete in a Signature Event (the Signature Events in the US were distributed throughout the continental states). I do think that limiting each team to one Signature Event per season would reduce the ability for teams to “pay to play.” I also like the idea of teams qualifying for Signature Events (like NATM) and not just opening up registration so that teams that stay up until midnight can register for the events. Perhaps going to a invitational model may be more appropriate for Signature Events. All in all, the move toward Signature Events (in the US) has improved the structure. One edit: I know the title is the Signature Events are a suitable replacement for World skills. I’m not sure that I look at it as one or the other. I kind of see them as independent. RECF decided, for various reasons, to get rid of skills only events and skills qualifying to Worlds. In the mean time, this idea of Signature Events was emerging. I never got the impression that the decision to have Signature Events was contingent upon getting rid of skills. They are so entirely different - it is hard to compare. Thank you everyone for the great responses! I wanna take a second to respond to @meng’s points, because I think they’re really at the heart of the controversy over Signature Events. All in all, I agree with this. What you said about the number of teams at Nationals dropping is a great example of how the educational aspect and the competitive aspect of Vex are irreversibly tied together. Everyone loves learning from Vex, but the experience isn’t and can’t be the same without a realistic shot to qualify to Worlds. Giving that chance back to Asian teams through Signature Events seems like the solution. The key takeaway for me is you said that in the US, Signature Events may have been a good replacement for the World Skills Ranking, but in Asia, they’re not. That’s exactly what I want to look at. Last year at worlds, there were 5 teams from Singapore in high school- 8059A, D, J, X, and Z. 8059A went 8-2 and was a div semifinalist, 8059D went 7-3 and was a div R16-ist, 8059J went 5-5 and didn’t make elims, 8059X went 8-2 and was a division champion, and 8059Z went 7-3 and was a division finalist. The 5 teams combined were 35-15 in quals, and 3 of them placed as a div semifinalist, div finalist, and div champion. That’s one hell of a worlds run. And in Middle School, it’s the same story. There were 6 teams from Singapore in Middle School, again all of whom were from the same organization- 8068C, D, E, G, S, and X. 8068C went 3-7 and didn’t make elims, 8068D went 9-1 and was a division quarterfinalist, 8068E went 8-2 and should have won but was disqualified in the R16, 8068G went 8-2 and made the R16 as well, 8068S went 8-2 and was a div quarterfinalist, and 8068X went 6-4 and was also a div quarterfinalist. The 6 teams combined went 42-18 in quals and all but one made elims. And of course this isn’t hard evidence, but anyone who has interacted with the 8059 or 8068 competitors can testify that everyone is positive, gracious, and clearly dedicated to robotics. These are the kind of people we want in the program. So in high school, why does Singapore get 3 worlds spots and 1 Signature Event in their entire continent, while California alone gets 40 spots and close to 10 Signature Events in North America? The problem isn’t Signature Events at all, it’s how the RECF is distributing them. If more Signature Events took place in China, HK, and Singapore, more top tier teams from these regions would qualify to worlds. And if those same teams won other Signature Events or won Nationals, the resulting double qualifications would open up spots for high skills scores, even for teams without the means to attend the Signature Events. The RECF does not make it easy for international teams. Worlds now takes place in Louisville, not Anaheim, so there’s no international airport to fly into. Shane from team XD in NZ said that the new Worlds location raised his team’s travel expenses by over $1000 and increased their travel time by several hours. And now by strategically putting all of their Signature Events except a handful in the US, they have skewed the program even more towards American teams. This isn’t fair, it’s not consistent with their mission statement, and it needs to change. But I see that as an issue with the RECF, not with Signature Events themselves. If there were multiple Signature Events in China and one in HK and Singapore each, I think the experience in Asia would be much closer to what it is in North America. And if more teams from these regions attended Worlds, it would benefit everyone. There would be fewer American push bots that qualified to Worlds with the My_Mom_Is_A_Judge award, more international collaboration, and more objective fairness in how spots are allocated. And this has nothing to do with either of our main arguments, but to your point about recording skills my skills score is currently in the top 50 in the World. (Not that that counts for anything anymore, but still ). Knowing before I ran them that my score could qualify me, I asked my mom to record all of my runs on her phone just in case there was a complication. This took her a grand total of 6 minutes and $0 and didn’t slow the time the event took to run at all. For a company that manages to rent a convention center and put on a laser show at Worlds, the argument that recording skills runs is too resource intensive is just silly. Everyone loves learning from Vex, but the experience isn’t and can’t be the same without a realistic shot to qualify to Worlds. Those of you on this forum that are obsessed with going to Worlds always seem to overlook something (IMO). Worlds doesn’t scale. It’s as simple as that. It is imperative that VEX has to be a good experience even without the shot of going to Worlds because Worlds is more or less about as big as it can ever be. Meanwhile, every year the number of teams in VEX keeps growing. That means one thing: every year it will be harder and harder for any given team to go to Worlds. RECF obviously knows this, and that’s why they’re taking steps to create other, alternate experiences that teams can strive for. They need to do this because the ugly truth is that Worlds is already completely out of reach for the majority of teams and that’s only going to get worse. Frankly, I think that’s mostly responsible for all the (what I will call) whining that’s been happening on this forum the past year or two. A lot of active forum users are on good teams who have gotten spoiled, essentially, by being able to qualify for Worlds every year. That’s getting harder and harder to do meaning these teams who are used to going aren’t always able to go anymore, and they don’t like that so they’re complaining. To be honest, most likely if I were a student in that position I would be too. You only need to look to other school-age activities to see where VRC is probably going to end up. For most high school sports, going to the state competition is about the most anyone ever strives for. In some cases, I think that’s because that’s all there is. In other cases (Little League World Series, etc. ), the possibility of “Worlds” is there, but it is such an unlikely outcome that the vast, vast majority of teams don’t even consider it or focus on it. Closer to home, I was a mentor in FLL for a while. “Worlds” for FLL (at the time at least, I don’t know if that has changed) was basically just an exhibition of some invited teams that ran some matches at the FRC Championship. Even back in the early 2000s, there were already so many FLL teams that going to Worlds was not really a consideration. Going to the state competition was the big goal for competitive teams. I think FRC is becoming this way too, especially in places like Michigan. The state championship there is a big deal and probably the end goal for most Michigan FRC teams. Going to Worlds is just a bonus for a lucky few. And keep in mind that VRC is (I believe) growing a lot faster than FRC, so this change is going to happen more rapidly for VRC than FRC. I like the idea of Signature Events, if the idea is “give a big show and competitive experience to more teams” as a more obtainable goal than Worlds. The few videos I’ve seen of some of these events fall pretty short of that IMO, but I’m sure it will improve with time. The problem isn’t Signature Events at all, it’s how the RECF is distributing them. If more Signature Events took place in China, HK, and Singapore, more top tier teams from these regions would qualify to worlds. It’s so frustrating to me to regularly see complaints about the Singapore situation because everyone seems to routinely misunderstand the issue, even though VEX and RECF people here have explained it several times. And it’s because of the same issue that always comes up: it’s not about the robots. RECF wants to spread STEM involvement to as many students as possible. It’s right there in their vision statement (" We see a future where all students design and innovate as part of a team, experience failure, persevere, and embrace STEM.") Their vision statement and mission statement do not say anything about finding the best team or building the best, most competitive team or robot. If a region want more spots, then they can “hack the system” by doing the things that RECF is rewarding - start more teams, grow the program. I sympathize with the feeling of the Singapore teams, but from what I read here from Paul and others, he made it pretty clear that Singapore isn’t growing thus they’re not going to be rewarded with more spots. The better alternative is probably to not make Worlds your season’s goal and instead work within your regions to create events that are actually good enough to be replacements for going to Worlds. Note, of course, that this would also address a lot of the complaints about cost of travel etc. I think Signature Events is possibly an experiment - maybe someday a singular Worlds won’t even exist, and instead there will be a bunch of Worlds-like events all over, and Signature Events might be a way to see how to make that work. FRC went from “Worlds” to “2 champs” already due to these same issues. What if they go to 3 or 4 or more? Even with 2 a lot of people argue that it’s not really a World Championship anymore. Yet, teams still strive to get there. And I’m sure they still would if there were 3, 4, or 10 “champs”. Maybe that’s where we’re going with Signature Events. Each Signature Event can be the Worlds-level experience from a few years back (with a more reasonable number of teams) as the ultimate end-goal for a team’s season yet this method could actually scale as the program grows. It is imperative that VEX has to be a good experience even without the shot of going to Worlds because Worlds is more or less about as big as it can ever be. Meanwhile, every year the number of teams in VEX keeps growing. That means one thing: every year it will be harder and harder for any given team to go to Worlds. RECF obviously knows this, and that’s why they’re taking steps to create other, alternate experiences that teams can strive for. I picked one statement out of @Dave_Flowerday 's excellent post (read it again, it’s great) to expand on. RECF and VEX knew practically from day one that Worlds could never be big enough to make everyone happy, and this would become a problem to solve. Even replicating Worlds would not be possible given the reality that planning and executing the event is a mind-boggling amount of work. Doing it twice a year is beyond the resources available. The state championship system exists, at least in part, to give every team a reasonable chance to attend a big event with bragging rights. There is no shame to putting “Colorado state champions” on your team’s records. Signature events expand the state champs with more opportunities to attend a big deal event. When I founded Exothermic Robotics (teams 10 and 575) in VRC, 25-30% of the teams in the world received a championship invitation. That number now is less than 5%. I’m all in favor if Big Events that give out big trophies and recognition for success and hard work, and Signature events are part of that collection. It’s so frustrating to me to regularly see complaints about the Singapore situation because everyone seems to routinely misunderstand the issue, even though VEX and RECF people here have explained it several times. And it’s because of the same issue that always comes up: it’s not about the robots. Now we look at Vex and the RECF, “robotics education AND competition foundation”. We can clearly see because first existed when they made the name that they were going in a different direction. I bet the founders would even tell you, one of the founding ideas was making it more about competition and robots. The way you get teams to learn is giving them this fair competition where the way to succeed is to learn. The RECF knew this when they were founded, so either you are wrong or the RECF is trying to rewrite its history. The teams that don’t make worlds can look at their neighbors that do and think “the only thing standing in the way of that success is my work ethic”. (and owning a field) It’s inspiring it see teams push the Vex hardware to new heights, the world championship has a bigger impact than just the 1k teams there. It’s the carrot that makes teams work to earn and its the example to everyone of what kids just like them can do. That only works if the best teams are there. The RECF knew this when they were founded, so either you are wrong or the RECF is trying to rewrite its history. I was in the room. The RECF has always believed that the goal of the program is to encourage young people to explore career and educational opportunities in the STEM fields. Running a fair robotics competition is the method of RECF, it is not the goal. It was said that discontinuing Top Skills list and introducing Signature Events was to combat un-sportsmanship behavior that some of the teams resorted to to qualify for Worlds. In my understanding, the part of the problem was that Worlds qualification is no longer perceived just as a validation of the team’s learned engineering skills and hard work, but as a status symbol and/or an important check-mark on the college application. Universities are free to give generous scholarships to whomever they feel appropriate. If they think, based on statistical evidence, that kids who excel in VRC and make it to Worlds would be better students and more successful graduates - that’s great. However, once you start adding significant financial incentives to the mix, parents start projecting their own insecurities and anxieties onto the kids (see article linked in post #2) and that could lead to unhealthy competitive atmosphere. The easiest thing would be to tap into those insecurities and just sell extra field kits. I hope RECF understands that and will keep tweaking the process to prioritize the educational goals above anything else. First - I think they should not have gotten rid of Worlds Skills qualifying for a bid. Perhaps they could have reduced the number down significantly or made the cut-off earlier in the season if they felt the need to limit the Skills bids (or worked out a way for EPs to be able to monitor better, or just gotten rid of skills-only events, or some other alternative), but getting rid of it altogether was, IMHO, a mistake. That said, I do like the general idea of Signature Events; as has been mentioned above, in the future as Vex continues to expand the % of teams going to Worlds will continue to decline - giving an alternative “big event” to aim for is a good thing. I also think they should make States more of a big deal and maybe (in the future, once it gets even larger) even have a mid-way step where multiple geographically close regions go to an event together & that is where Worlds bids come from. While I totally agree that the current Signature Events being largely in the US skews the participation to be largely US-based, I thought that RECF & Vex weren’t the ones who set up the Sig Events. Aren’t these similar to regular events, in that an EP from any location can request to set up this type of event and will be allowed to if they follow certain criteria? So can’t anyone interested in holding such an event outside of the US do so? I like the idea of Signature Events, if the idea is “give a big show and competitive experience to more teams” as a more obtainable goal than Worlds. A little TOO attainable, really… there are apparently no criteria at all to registering for a Signature Event at this time (other than having a team, of course). Anyone can do it, as long as they beat others to the registration. To really be a mini-Worlds goal, it seems like they should make them a little harder to access. Maybe more like US Open, where awards at a local event can get you a bid? I don’t think they can make it too difficult to access, at least not at this time (while it’s still a growing idea), since the EP needs to be able to fill the event. I bet the founders would even tell you, one of the founding ideas was making it more about competition and robots. I agree with you that they probably wanted to make it a little bit more about the robot than in FIRST, but not at the expense of spreading STEM to more students. Now, if you want to talk about organization names, there’s an interesting story there too. I was a student in 1995 in (what was then known as) U.S. FIRST. U.S. obviously stood for United States and it was part of the organization’s name intentionally. U.S. FIRST’s goal was keeping and furthering the United States’ competitiveness in science and technology versus the rest of the world. I had to listen to a lot of speeches back then from Dean and tons of others and the message was the same: we are losing our engineering dominance to other countries, and the message was that was bad and Dean was trying to stop it. Back then the mantra wasn’t as much of “get kids interested in STEM because it’s good for them”, it was more like “ensure our country has a future population of engineers so we can remain competitive with the world” (*). FIRST obviously does not include that as part of their mission anymore, and they’d probably take a dim view of anyone who said something like today that at one of their events. My point is - organizations and goals change. If you want to know what RECF’s goals are now, you read their mission and vision statements. Basically, I wouldn’t read too much into the name of the RECF. The mission and vision of RECF has been stated clearly over and over. Like @Rick_TYler said, the robots and competition are simply a means to an end. Obviously they want it to be an exciting, fun competition, but not at the expense of their ultimate goal which is spreading STEM to students everywhere. @Rick_TYler and I have both been around VEX for a long, long time and have had countless conversations on these topics with the founders and everyone else (heck, I recall being with a group of people in Dallas where Paul got a tour when he arrived at his first VEX Worlds - before he was employed by VEX - when he showed up to be an announcer), so we’re not exactly just guessing when we say that “it’s not about the robots” for RECF.